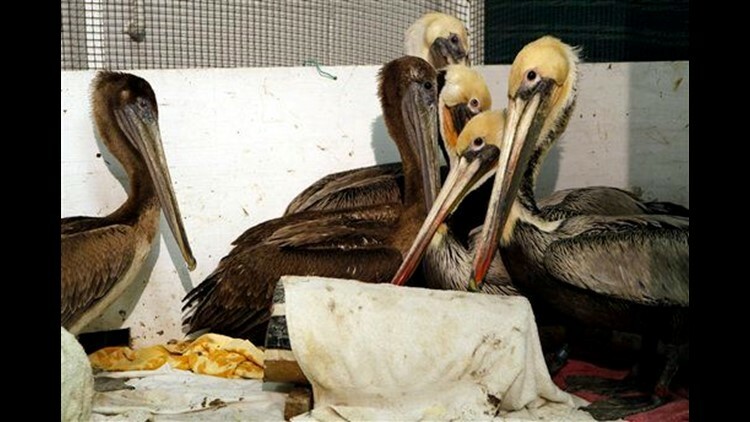 LOS ANGELES (AP) — A bird rescue group in Southern California will release recovering pelicans to make room for more of the ailing birds affected by storms and oily runoff. The International Bird Rescue Research Center in San Pedro has received hundreds of birds in the last few weeks. Spokesman Paul Kelway says 10 or 20 pelicans, perhaps more, will be released Wednesday afternoon. Rescue workers will know how many can leave after reviewing blood tests. The center desperately needs the room. Kelway says they usually get 400 birds a year but in the last three weeks have received 300. A third of the pelicans have died and no one knows exactly why. The birds are starving and something is contaminating their feathers so they are not waterproof. Kelway says the rains and runoff are the latest factors.